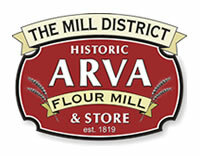 Arva Flour Mills, in Arva - just north of London, is Canada's oldest continuously operating water powered flour mill and perhaps, the oldest in North America. Quality has been a tradition at the mill since 1819 and they continue to supply their customers with a variety of natural and certified organic flours. Capo Food Ltd. has been a proud supplier to Western University for over 25 years. We produce authentic Italian products using the finest local and Canadian ingredients. Capo Food Ltd. supplies quality, delicious, fresh home-cooked products based on traditional Italian family recipes handed down from generation to generation. We strive to bring a little taste of Italy to your plate. As a London based family business, we work hard to provide the highest quality product while maintaining a strong partnership with our customers, local growers and suppliers. Our products are made from scratch on site in our London facility and range from authentic pasta entrées, pizza, cookies, cakes and pastries. We have a solid commitment to our customers and are passionate to provide the best possible product that we can! Buon Appetito! Recognized as one of Ontario's finest specialty roasters, Fire Roasted Coffee Company is an artisanal coffee roaster located in London, Ontario. We have enjoyed great success in the past several years by partnering with the finest retailers, cafés and institutions in Ontario, to serve the highest quality Coffee available anywhere. We roast over 50 types of coffee, including over 20 single origins, decafs and blends. 95% of our coffees are fairtrade-certified and many are organic-certified and shade grown. In short, we love coffee! Sustainability is a critical component in the equation of doing business for Green City, and in fact, it's an essential and major factor of their business. Green City's main objective is to work and partner with as many local neighbor farmers as possible for many different reasons including freshness of products, competitive pricing, fuel efficiency and encouragement for premium quality. For quite some time, Green City has been working with a wide range of Ontario farmers within a radius of 50 to 100 miles of the central depot in London. Partnerships with these farmers have evolved for the sake of growing specific products like the mini veggie program for special occasions as well as growing an entire line of products that has been recommended by Unit Chefs throughout Hospitality Services. Green City's connections with all sorts of local organic farmers will enable us to provide Western with a wide range of organically grown fruits and vegetables throughout the growing seasons. Green City is well connected to several local farmers who grow a full line of specialty produce such as hydroponically grown lettuces, herbs, seedlings and micro mixes. Alberta sunshine captured in a glass! The flavours dance briskly on the palate - rich maltiness, the sweetness of Alberta wheat, a complex blend of hops and a note of citrus, all leap to a bright clean finish. Petit Paris opened in June of 2011, and are locally owned and operated. They use local eggs, fruit and dairy. Everything is made from scratch using whole ingredients, with no preservatives or artificial flavours. Steam Whistle Pilsner is a golden, refreshing craft brew with a floral hoppy aroma, and a sweet, malty character that is balanced by a pleasing crisp finish. Thornloe Cheese, located in Thornloe, Ontario, has produced a respected brand of cheese products in Northern Ontario for over 71 years. The secret of their success is attributed to old-fashioned cheese making techniques and 100% fresh Canadian milk. Thornloe Cheese is a 100% Canadian, 100% farmer-owned company!